Water has been used in medicinal and/or therapeutic treatments for centuries. Sebastian Kneipp, a 19th century Bavarian monk, is sometimes said to be the father of many hydrotherapy methods. While he wrote several books, one of the most popular is My Water Cure. He believed that disease could be cured by using water to eliminate waste from the body. Many have experienced the common hot tub or have visited a day spa where water is used for relaxation and healing purposes. In fact, many of the most sought after vacation spots incorporate some sort of water attraction—whether natural or manmade. Society’s love affair with water is both natural and understandable as human life begins inside an aquatic environment; therefore, the tie to water, and its healing effects, can almost be considered genetic or instinctive. There are several different forms of water therapy that are both external and internal, with many using temperature to achieve the desired results. The benefits are obviously physical in nature; however, there are physiological benefits as well. The biggest advantage to most forms of hydrotherapy is they can be practiced in the privacy of the home. Many residential hot tubs and pools are used not only for recreation, but also for therapy. This is especially true with an aging population that is discovering the benefits of aquatic therapy and its ability to improve quality of life. Hot tubs, for example, which have powerful underwater hydrotherapy jets, are great for alleviating various ailments. When used regularly, hot tub bathing not only helps to remove toxins from inside the body, but also promotes better sleep and a balanced mental state. Although pools and hot tubs are well-known for their therapeutic benefits, there are many other hydrotherapy techniques available that can effectively improve one’s overall health. The following will briefly explore some of the common, and not so common, aquatic therapy techniques currently being used. Formally called hydropathy, hydrotherapy is the generic term for aquatic therapies using jets, underwater massage, mineral baths, and hot and cold compresses for the relief of pain and the treatment of certain illnesses and ailments. Synonymous with the term ‘water cure,’ which was used by practitioners in the 19th century, these treatments use water’s physical properties, e.g. temperature and pressure, for therapeutic purposes such as stimulating blood circulation and treating symptoms of certain diseases such as rheumatoid arthritis and fibromyalgia. Moving forward in time, modern sport medicines use hot and cold water therapies not only to relax athletes after events, but also to reduce swelling and speed healing when injury occurs. Balneotherapy, which is derived from the Latin word balneum, meaning ‘bath,’ is the treatment of disease via bathing. This term is generally applied to any of the treatments performed at a wellness center (i.e. spa facility) and refers to the medicinal use of a spa as opposed to their recreational use. This therapy often involves using hot or cold water, in addition to massage, to relax and/or stimulate bathers. When looking at the healing properties of hydrotherapy, they are generally best described in terms of their mechanical and/or thermal effects. These effects are caused by the body’s reaction to stimuli such as water pressure, hot and cold temperatures, protracted application of heat, and the general sensation of water. Once these stimuli occur, the nerves carry what is felt by the skin deeper into the body. These inputs are then responsible for influencing the production of stress-relieving hormones, encouraging blood flow, improving circulation and digestion, stimulating the immune system, and lessening the body’s sensitivity to pain. In general, hot and cold therapies have different effects. Hot water is used to soothe the body and slow down the activity of internal organs, while cold water is used to stimulate and invigorate the body, and increase the activity of internal organs. For example, many people take warm baths or use hot tubs when experiencing tense muscles or anxiety as a way to relax. On the other hand, some take short, cold showers when feeling tired to stimulate the body and mind. Water also has a hydrostatic effect and creates a massage feeling as it gently kneads the body. Moving water stimulates the touch receptors on the skin, whereby increasing blood flow and releasing tight muscles. Further, the weightlessness experienced when submerged in water relieves the body from the effects of gravity, which also aids circulation and improves the body’s ability to remove toxins from inside muscles and ligaments. External hydrotherapy involves submerging the body in water or simply applying water to the body. This water can be hot or cold and includes the application of ice. Hot water, which relaxes muscles and causes sweating, is used to treat arthritis, rheumatism, poor circulation, and sore muscles, while cold water, which stimulates blood flow in the skin and underlying muscles, helps to reduce inflammation and pain. Temperature-based hydrotherapy treatments can include the application of moist heat (i.e. fomentation) or cold water to specific parts of the body. Moist heat is used to treat chest colds, flu, or arthritis, while cold compresses or ice packs are used for sprains, headaches, dental surgery, and to reduce swelling. Body packs are another application of external hydrotherapy, which involves wrapping wet cloths around the body. This form of therapy is often used to calm psychiatric patients and for detoxification. Although Kneipp has been most closely connected with naturopathy, he developed an entire healing system based on five main points: hydrotherapy, herbalism, exercise, nutrition, and spirituality. Many wellness centers now offer the Kneipp hydrotherapy method, which generally takes the form of warm baths as well as alternating hot and cold water applications and compresses. The main focus of this system is water treatment as it typically involves several rounds of hydrotherapy (hot and cold treatments) in addition to its focus on a natural diet, and the application and intake of herbs. Many wellness centers now offer the Kneipp method—in one form or another—as it is a low-impact and pleasant form of holistic healing. This treatment generally takes the form of warm baths as well as alternating hot and cold water applications and compresses. The method of therapy has been used to treat high- and low-blood pressure, arthritis, and sleep disorders. Sitz baths are external based and place bathers in a specially designed tub, which allows the lower abdomen/hips to be submerged in water that is different in temperature compared to the water surrounding the bather’s feet. These baths have been used to help manage back pain, sore muscles, muscle spasms, body aches, sprains, hemorrhoids, pruritis (itching), inflammation, rashes, anxiety, wound care/hygiene, and to promote relaxation. For various ailments, different temperatures can be used, and minerals or medications can be added to the water. A contrasting sitz bath is one where water surrounding the pelvis area is alternated between hot and cold. Neutral baths use water that is the same temperature as the skin. The skin’s surface comprises a large number of nerve endings, which deal with the reception of stimuli. Most are cold rather than heat receptors; therefore, if the water temperature is different to that of the skin, the skin will either conduct or absorb heat. These stimuli have an influence on the sympathetic nervous system and can also affect the hormonal system. The greater the difference in temperature between the skin and the water being applied the greater the potential for physiological reaction. Conversely, water that is the same temperature as the body provides a relaxing and sedative effect on the nervous system. This provides therapeutic value in states of stress, which led to the development of the neutral bath. These baths also produce a sedative or even soporific effect and place no strain on the heart, circulation, or nervous system. Foot and hand baths are extremely popular and are effective at relieving pain, not only in the feet, but other parts of the body as well. This can be attributed to the fact that many nerve endings in the body terminate in the hands and feet. These are considered local immersion baths, which surround the feet and ankles in 43 to 46 C (100 to 115 F) water. This dilates vessels in the feet and legs and increases blood flow through the entire skin surface, relieving congestion in internal organs and the brain. It also elevates the body’s temperature, relaxing tense muscles and increasing white blood cell activity. In many instances, foot baths also incorporate reflexology, which is a therapy that focuses on the nerve endings in the feet to cause therapeutic reactions in all parts of the body. Contrast baths are also known as ‘hot/cold immersion therapy.’ These baths involve using temperature differentiation as a form of treatment where a limb—or the entire body—is immersed in ice water followed by immediate immersion in warm water. This procedure is repeated several times, alternating between hot and cold. Contrast bathing can be used to reduce swelling around injuries or to aid recovery from exercise by significantly improving muscle recovery by reducing the levels of blood lactate concentration. For any injury with palpable swelling and heat as well as visible redness (e.g. a strain or sprain), contrast baths are not advisable during the acute inflammation stage, which begins at the time of injury and lasts for approximately 72 hours. There are many different types of saunas. Most are made from wood and can be heated using different technologies. Conventional saunas may be electric or wood-fired and usually include rocks, where bathers can apply water to create steam. 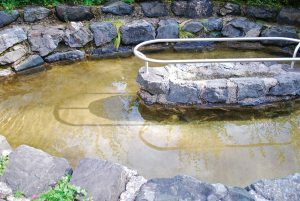 In a typical Finnish sauna, the temperature of the air, room, and benches consistently remain above dew point (the temperature at which air cannot hold all the moisture), and therefore, remain dry even when water vaporizes after being poured over the hot stones. In contrast, body temperature remains below dew point (approximately 38 C [100.4 F]), which allows water to condense on the bather’s skin. This process releases heat and makes the steam feel hot. This also allows air temperatures, which could boil water, to be tolerated and even enjoyed for longer periods of time. Although both saunas and steam baths make bathers sweat, the latter operate quite differently. For example, steam rooms contain extremely moist air and high humidity levels, while saunas have low humidity levels. Steam rooms also do not typically get as hot as saunas during the therapy process. Despite these fundamental differences, steam rooms produce similar health benefits and are a popular feature both at day spas and at home. Many bath manufacturers have designed steam showers that can provide homeowners with a spa-like experience. These baths provide many benefits, including increased circulation, oxygenation, and detoxification. The humidity in a steam bath environment offers skin moisturizing benefits, which help keep the skin clearer and healthier as well as relieve many respiratory conditions and symptoms, making it easier to breathe by dislodging phlegm and allergens from nasal and throat passages. It also reduces asthma and its recurring symptoms, while bronchitis, hoarseness of the throat, and coughs are also known to improve after a steam bath. Hot and cold compress therapies are two of the most common forms of external hydrotherapy. Both methods can be performed easily in residential settings and provide effective results. 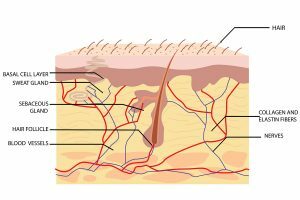 Once the body reacts to stimuli such as water pressure, hot and cold temperatures, protracted application of heat, and the general sensation of water, the nerves carry what is felt by the skin deeper into the body. Cold therapy is probably the most common; ice and compression are considered the universal medical procedure for many injuries (e.g. sprains, strains) to control swelling, inflammation, and pain by constricting blood vessels and slowing down cell metabolism. This lowers the need for oxygen and nutrients, and slows the rate of cell death, and the resulting excess build-up of blood and fluid (i.e. inflammation). Ice baths are another variation of cold compression therapy. This is a popular practice with professional athletes to help them recover from the extreme efforts of today’s modern sports. On the other hand, hot compression therapy is used to treat arthritis, muscle spasms, sprains/strains, and even cancer, according to the American Cancer Society. Examples of superficial heat therapies include infrared heat, hot packs, paraffin wax baths, and hydrotherapy (i.e. hot tubs and hot water immersion). Hot compression therapy increases circulation and causes connective tissue to become more flexible. It also promotes a transient reduction in joint stiffness, pain, and muscle spasms. Hot tubs are available in a variety of shapes and sizes—from single-person to large multi-bather units—and are one of the most common forms of hydrotherapy. Most day spas feature hot tubs in their therapy regime, and many hotels and resorts offer these amenities to their guests. While most have experienced hot tubs in a commercial setting, the residential hydrotherapy market is continuing to grow and innovate. For instance, some models are designed to provide more of a ‘soaking’ experience, while others provide high entertainment value. Many soaking tubs feature large whirlpool jets that create large swirling movements of water inside the vessel. This type of passive therapy is relaxing and soothing to the body, mind, and spirit. Other hot tubs are designed to heal and repair sore muscles in addition to relaxation. These hot tubs are beneficial for many different types of ailments, including heart disease, arthritis, diabetes, lower back pain, and sleep disorders. In more recent designs, hot tub manufacturers and component fabricators have made improvements in many areas, with one of the most important being jet design. For instance, many companies now offer interchangeable and adjustable jets, which provide owners the freedom to customize the hot tub to meet their specific hydrotherapy needs. New jet designs such as easy-to-use, twist-lock mechanisms facilitate ease of removal and adjustment, making them interchangeable. 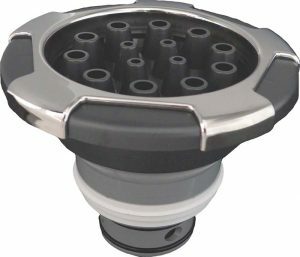 Many new nozzle designs, which provide a wide variety of therapeutic options to the bather, have also been introduced. 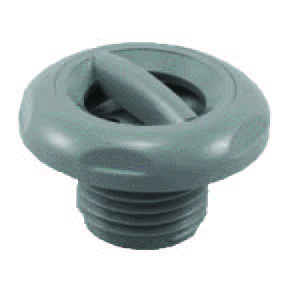 These allow hot tub owners to further customize their hot tub to meet their specific needs. Deep tissue jets provide relief to large muscle groups such as the upper and lower back (including neck), thighs, calves, and forearms. Deep tissue jets usually operate at 45 to 56 litres per minute (lpm) (12 to 15 gallons per minute [GPM]) at relatively high pressures (0.09 to 0.11 MPa [13 to 16 pounds per square inch (psi)]). These jets feature high nozzle velocities and can be air injected as well. The air injection can drastically increase the jet’s velocity and can be turned on or off. When air is added, the jet feels more powerful, but is actually using less water. The water flow coming out of the jet nozzle is referred to as a flume. Nozzle designs for deep tissue jets come in a variety of styles, but are usually directional in nature. These directional eyeballs can be adjusted to direct water flow to target specific areas in need of therapy. There are also a variety of large rotators that can be used to provide deep tissue therapeutic pulsing. These jets vary in size, from 101 to 177 mm (4 to 7 in.) in diameter, and provide relief to large muscle groups such as the upper and lower back (including neck), thighs, calves, and forearms. In contrast, soft tissue jets may have similar flow rates; however, nozzle designs are quite different. These jets vary in size—from 51 to 127 mm (2 to 5 in.) in diameter—and emit water patterns called flumes that are more diffuse in nature, with much lower nozzle velocities. Soft tissue jets emit water patterns called flumes that are more diffuse in nature and target areas such as the inner arm, carpel tunnel area of the wrist, side of abdomen, and bottoms of feet and hands. Soft tissue jets operate between 34 to 45 lpm (9 to 12 GPM) 0.09 to 0.11 MPa (13 to 16 psi). Soft tissues include tendons, ligaments, fascia, and skin—especially where skin is thin and/or sensitive. This includes areas such as the inner arm, carpel tunnel area of the wrist, side of abdomen (trunk area), and bottoms of feet and hands. These jets can also operate at higher velocities to provide ‘middle-style’ therapy to create a kneading effect. This is a common technique used in the hot tub industry often referred to as ‘over-driving,’ which provides bathers with a slightly more intense massage without the pounding that is associated with deep tissue jets. Acupressure jets are commonly used in large groupings to provide pinpoint relief to sore muscles. Acupressure jets are usually smaller in nature (but can also be larger) and are commonly used in large groupings to create an ‘acupressure seat’ in the hot tub. These seats typically comprise 10 to 20 jets, and with the proper hydraulic design they are effective at providing pinpoint relief to sore muscles. Acupressure jets typically operate between 23 to 30 lpm (6 to 8 GPM) at 0.10 to 0.11 MPa (15 to 16 psi), but with higher nozzle velocities than soft tissue jets. Multi-nozzle designs are sometimes called ‘foot blaster’ jets as they are specifically designed to provide gentle foot therapy at higher water volumes. 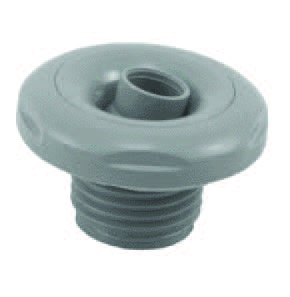 This is a specialty jet commonly used in foot wells, pedestals, and other foot locations. It produces a large flume of water and operates at flow rates between 151 lpm (30 GPM) to as much as 284 lpm (75 GPM). These jets also have many face configurations, which vary from a large, single-opening to multiple smaller openings arranged in patterns. These multi-nozzle designs are sometimes called ‘foot blaster’ jets as they are specifically designed to provide gentle foot therapy at higher water volumes. 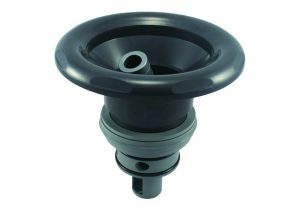 Many of these jet styles also have interchangeable orifice designs to allow manufacturers to tune the jet to a particular system or need such as deep and/or soft tissue therapy. The extremely large flumes and high nozzle velocities of whirlpool jets allow them to dig deep into muscle tissues in a ‘kneading’ fashion that is unmatched by other jet styles. Of all jet styles the whirlpool jet has been around the longest. In fact, it was one of the first jets developed by hot tub manufacturers. 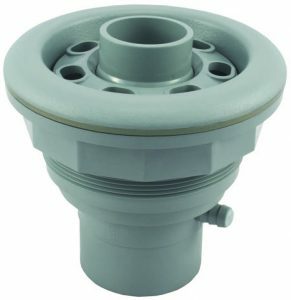 These jets have directional style nozzles, which allow bathers to adjust them to a specified direction and have high nozzle velocities (151 to 454 lpm [40 to 120 GPM] at 0.10 to 0.11 MPa [15 to 16 psi]) to create the whirlpool water movement. This type of ‘passive’ therapy is popular and can provide a relaxing environment for multiple bathers. While whirlpool jets were designed to act upon a body of water, they are also excellent direct therapy jets. The extremely large flumes and high nozzle velocities allow them to dig deep into muscle tissues in a ‘kneading’ fashion that is unmatched by other jet styles. Water, whether liquid, vapour, or solid state, has the ability to heal and rejuvenate. While many of the benefits described in this article were physical in nature, most, if not all, offer psychological benefits as well. Everyone has experienced the simple euphoria of a refreshing shower or the relaxing mind set resulting from a long soak in a hot tub. For those who have hydrotherapy programs or products in their home and use them regularly, they can all testify to the impact these products and therapies have on their daily lives—both physically and mentally. 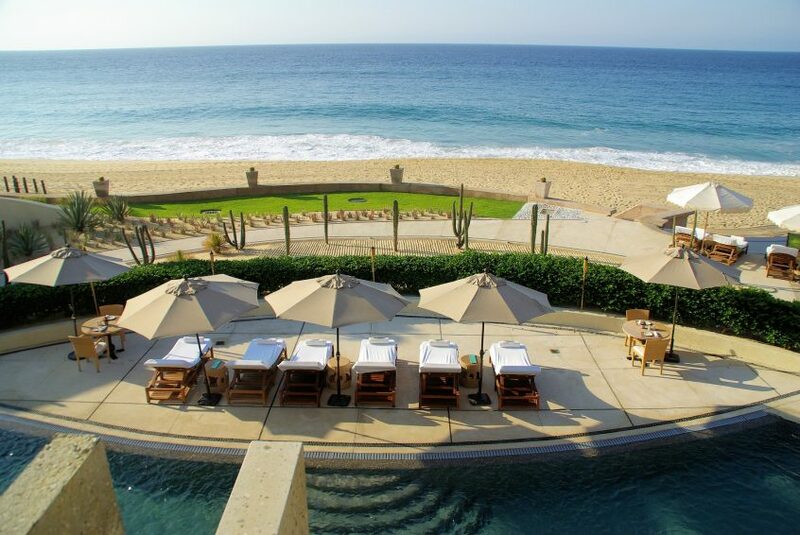 This article was written by Vic Walker and originally appeared on Pool & Spa Marketing [link].